Features polyester backing with clear pressure-sensitive hot melt synthetic rubber resin adhesive. Whether you want to send a message to advertise your company, discourage pilfering or tamper, or are in need of helping the speed or quality of your process, 3M can help create a custom product just for you. 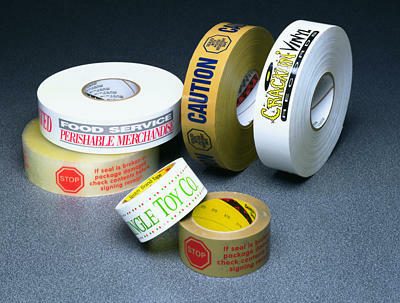 Every package you send becomes your own portable bill-board when you customize your tape.